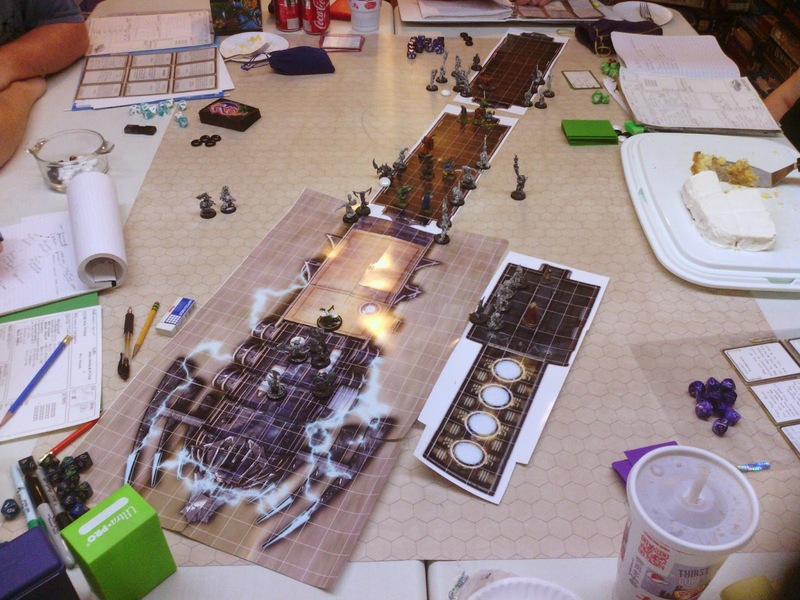 Last night we scheduled the grand finale for the second arc of our Mutants & Masterminds campaign. In our previous session First Wave confronted and defeated one of the last Cabal Overlords- Kang, revealed to be Tony Stark- with their own armor-wearing Tony Stark revealed to be a clone. But that victory proved to be short-lived as they looked out upon NYC and saw the horde arrayed against them: gargantuan monsters of legend like Fin Fam Foom; Dog Demons; and Hela and her armies- and alongside, her general the Mighty Thor! ...which would have been awesome except one of the players had a power outage so we had to reschedule for two weeks from now. I'd planned on writing something about the campaign for today, so instead I'll offer another piece that I've been working on and is more than a little raw- I'm still not sure about the concepts. At a recent session of our new Legend campaign, we found ourselves in an Inn. That’s pretty standard fare- a stopover for rumors as we headed on to deal with the question of the silent village. It has been a while since I’ve had a chance to play rather than GM. I’m enjoying the slow reveal we’re getting about the GM’s world- a place with lots of interesting bits and pieces. He’s smartly presenting those in drips and drabs. In any case as we come in- the GM describes the common room, with a few striking characters and clear plot hooks. Then he mentions that one of the groups in the room consists of members of a particularly brutal mercenary company from my home region. They recognize my heraldry and give me some scowls. It prompts some discussion in the group about my history. And that’s it- we don’t get into a fight with them until a later session. They didn’t seem to tie to the main plot. They’re there and offered some color. More importantly they acknowledged that the GM remembers who my character is. I gave Derek a pretty Spartan background, a few details, but those details remain importantly to me. It has been a while since I played with Derek; the last campaigns were more procedural. We had cases or assignments. If something popped up from someone’s backstory it was because it tied to our current undertaking tightly. Here, in just a couple of minutes of scene I felt like my character mattered in the world and that the GM was thinking about cool stuff for me. Not just random plots, but ideas and concepts which played off of the work I’d done. The moment stuck with me when I caught up on Ken & Robin talk About Stuff podcasts the following week. They had a segment on the perennial question of railroading, something I think every gaming blog and podcasts has wrestled with. I’ve written on it more than few times; Sandboxes & Finales and Another Inevitable Post on Railroading. Anyway that discussion plus some ideas about ways to use skill competency to mark players got me thinking about another way to see the tensions between what some might call “directed” versus “free” in an rpg. Instead of seeing that simply as a tension between the GM and players, I think we can three poles operating in a game. I’m hoping that thinking about it this way might help me understand where my campaigns- run and played in- work or didn’t work. Story: We traditionally considered the GM’s core interest. 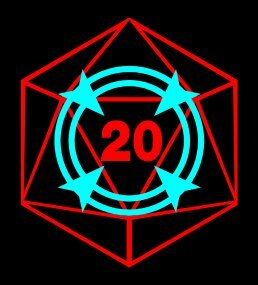 The idea that the GM has a tale to tell that links or works at a meta-level to the scenes and sessions. Some gamers discuss this negatively- where a GMs focus on the story means that they don’t get to make meaningful choices, don’t have their characters acknowledged, and their result have been effectively mapped out. Gamers often point to Dragonlance as an exemplar of this kind of story orientation. As with all three poles, focus on this can exclude other elements. Story can be softer than this- where there’s a plot the players explore, such as in a mystery. Struggling to defeat a big bad’s a story trope and form. There’s a difference between plotting and plot in this case. Story can also be added later- with an emergent story, crafted by the players and/or the GM as things move along. Characters: The narrative and details players tell about who they are. It includes character sheet bits and also how that gets expressed at the table. At the most basic level, this consists of the PCs class/race/role. In other games, this includes stories about those details (i.e. The Elves of Alfheim bear no ill-will towards the Dwarves of Rockhome). In games with an emphasis on character this often includes somewhat mechanical details like aspects, merits, flaws, disadvantages, complications and so on. More broadly it includes the backstory and character history which players come up with- told at the table or written up. Generally these elements are of greater value to the player than to the GM. Taken to the extreme offers a game that’s simply about the characters interacting. A negative spin on that might be to call it diddling around. GM-less games like Fiasco focus on this. Environment: The setting and backdrop. Not the backstory, but simply the things which the group interacts with. Places, battle maps, described locations, discrete incidents, NPCs- these all make up the environment. This may be more or less interactive and responsive- for example NPCs on one end and a dungeon room on the other. This also includes the rules covering the game since that’s a both a kind of environment and the laws governing the backdrop. Hex and Dungeon Crawls often put an emphasis on this over anything else. In extreme versions, there’s no compelling story beyond a win condition or goal. You characters don’t really matter to the game, except as they impact available rule choices. But generally any characters could be slotted into games with a focus on environment. Some games focus on one of these poles- that’s less interesting and less fun for me. Below are some notes about the extreme versions of these positions. What might be the implications of an obsessive focus? Story Focus: No power, no interactivity, no choice. What the players do doesn’t really matter. I’ve played in games where it became pretty clear that the GM had a plot and we were going to get there regardless of what we wanted. Work we did to shape events would be washed away or dismissed. I’m not sure if it is better to know that up front or find that out as the campaign progresses. Sherri played in a game where she had the opportunity to build up resources and contacts for her character. She was given the impression that would be a significant part of the game. After several sessions of that, the GM threw them away and moved the party on to the location he wanted them to be at. Her worked ended up discarded and unmentioned. Character Focus: No driving group goals, lack of direction, potential for misreading. I think when people dismiss some games as being dithering, dollhousing, or pointless, they’re talking about games like these. Character focused games draw plots and details from the PCs. Exclusively doing that suggests that the world revolves around them. If the group has players with different levels of energy, some can get left to the side. If can also devolve into everyone playing in parallel rather than towards something collectively. A character focus requires the GM to know the characters as well as the player. We had a series of campaigns with a player who communicated their goals and desires badly- and moved the goalpost. They became resentful when they weren’t given what they wanted, but wouldn’t communicate what that was. It meant they didn’t have to justify themselves. Environment Focus: Characters don’t matter, board game play, disconnection, higher rewards for system mastery. Could devolve into a mechanistic approach: calculated challenges needed: monsters, traps, skill rolls, and plug those in. Strip away materials to get to the engine and result underneath- a procedurally generated approach. Games become samey. Characters become dismissed as tools. Non-optimal characters for the environment don’t work. OK what does breaking that down actually do for me? Is it a useful way of doing things? I’ll say this- I tend to have a Story and Character focus in my games. I know and can identify that, so how can I bring that better into balance with the Environment. How can I present and scale challenges to make them interesting. I’m thinking about the mechanistic side of things there. But how can I present the environment/setting in a way that allows the players to muck around with it. 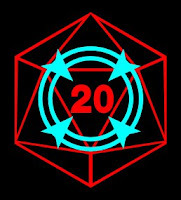 Crucially the GM- in the early days of a campaign, and then on a regular basis throughout the campaign- should show the players they know and remember their character. I talked before about the importance of establishing trust with players. This can be mechanical- showing that you have mastery of the system and want to use it for fun rather than straitjacketing the group. It can be about attention by demonstrating that in a scene everyone will get an opportunity. It could even be about taking them seriously- taking them at their word and considering even the goofiest ideas with some care. I believe that players need to trust that a GM recognizes who they are and acknowledges that the player has a kind of cool character. As a side note, in an ideal game, as a GM, I love all of the PCs. I have affection for them or at the very least I don’t hate them. That doesn’t mean I’m not going not put them through the ringer. It doesn’t mean I’m going to protect them. But I’m going to do that because I want to see them rise to the top, I want to see how they overcome the challenges set before them. Depending on the game, I come to enjoy the character in several ways. In more classic games, that’s purely through personality and play- clever, funny, interesting, whatever. That’s how the player puts themselves out at the table in a heavily procedural game- like a dungeon crawl. In longer games or those with a greater narrative focus, I’ll come to that additionally through things like backstory, personality flaws, and dangling plot threads. So how can a GM acknowledge the characters? At the basic level that’s remembering who the characters are- names, classes, event details. Where characters have competencies, like thiefly skills or particular kinds of spells, I can present opportunities to use those. Call on those players who have those skills and abilities- which in many cases may be several at the table. The nature of these games is that there’s often overlap. A GM has to figure out how to give people with a focus in something a chance to use it, while at the table time giving others who’ve invested in it some opportunity: offering a bonus, an insight, or even splitting the group to give additional players shots at those things. But that’s really a set of crunchy conventions- about practical play. Most often I’m running more narrative games, so I have to figure out how to integrate the player’s backgrounds and history. Every session, I want to at least once mention something about a character that’s a call-back: a tie to their history, a past event they were key in, a description that centers on skills they’re excellent at, an NPCs comment on them, mentioning them to another PC or an NPC, putting forward or highlighting something that their character likes, getting them to express a goal, even something as little as asking them to describe their character or how they’re acting in a particular situation. NEXT WEEK: Practical applications and further thoughts. ConTessa, the online gaming convention by women for everyone, wrapped up successfully yesterday. We had a weird schedule between games and other obligations so I didn't get to play in anything, but watched several cool panels and bits. You can find numbe rof the videos on the site there and on YouTube. For me the highpoint was the Collaborative World-Building and Gaming panel arranged and moderated by my wife Sherri Stewart. I had the amazing chance to participate on this panel with some amazing designers. Meguey Baker’s done unique work with A Thousand and One Nights: A Game of Enticing Stories and Psi*Run. She’s also done a nanogame I didn’t know before the panel- Valiant Girls, a striking game about heroism and Ethiopian girls. Brad Murray wrote Hollowpoint, one of my favorite pick-up games and an amazingly constructed rpg. His Diaspora game may be the first product which forced me to seriously think about systems for group construction of a setting and campaign. Finally Ben Robbins wrote Microscope, the game that’s perhaps more than any other changed how I play in the last couple of years. He’s just wrapped a successful Kickstarter for his new game, Kingdom. I look forward to seeing more cool and amazing games next year with ConTessa. Stacy put together an outstanding online convention- professional and sharp. It is hard to believe this was only the first year given how well assembled everything was. Note: The excellent OSR blogger Black Vulmea had some problems with the panel, which he details here. He raises some interesting points which I address in this post. As I say there, he has some legitimate points but some arise from misreadings. Side Note: Someone in the comments during the panel asked about other collaborative and shared games. I put together the start of a list for those a while back. One of the worries I’ve seen other GMs express in person and on forums comes from the perceived lack of control present by this approach. They have stories they want to tell- why would they give that up? I don’t dispute that- you may have an awesome premise and concept that will play out amazingly. But in the back of my mind, when I hear that I worry the GM may be too tied to that- may really have a story, an arc that they want to run. If so, how much will my character matter? I’m making assumptions- thinking that the GM will be “That Guy” which probably isn’t true. Some Gms may not get to run as often as they want, so a tool like this may not be for them because they’ve been desperately planning and brainstorming for the opportunity. But let me answer the question of power or loss of autonomy first and then consider the benefits. Yes, you will lose some control; you will lose some grand scale choice. Given free rein, the players may come up with ideas about what you consider core elements for the world: high magic when you’re more comfortable with low; positive tech when you wanted a dystopian universe; hordes of elves when you prefer a human-centered campaign. That might happen, yup. But in actual play, you’re still going to have the power. Just because the group’s done the world-building together, you still get to run it. You take what they put forward and fill in the gaps, twist the ideas, and offer them surprises. You don’t violate or contradict, but you make use of them in new and exciting ways- because you’re a GM. In the panel, I give the example of the player who off-handedly put Unicorns into the setting. When we actually ran the campaign, they turned out to be the bad guys, the Illuminati behind the scenes. I could do that because they’d been put out there generally, with few details beyond that. The players can only sketch so much in the course of world building, they’ll always leave you loopholes. Let me give two other examples drawn from games where the players really built the world. In our current Mutants & Masterminds campaign, I built the world based on the players choices. They would run re-envisionings of existing heroes, playing out their “Year One” experiences. One player chose to be Iron Man, Tony Stark very much as presented in the movies instead of the comics. Last session, the penultimate one for this second arc of the campaign, the players fought Kang- the apparent last survivor of a group of supervillains who had secretly ruled the world for 50+ years. In the course of the battle, Kang tore off his mask and revealed his secret. Kang was, in fact, Tony Stark, and the PC Tony had been a clone. When the Cabal of villains had been destroyed and Kang vanished to escape, PC Tony had been woken up as a decoy, programmed to run Stark Enterprises until Kang returned. But then the events of the original film had occurred leading to clone Tony becoming Iron Man. It was a great moment- and one the player enjoyed. It didn’t violate his character’s conception, but instead deepened and added to it. I had plenty of room to do that. The other example comes from the session I ran the evening of the panel, a two-year campaign built from a Microscope session. The game offers a fantasy riff on Battlestar Galactica, with a shattered world and skyships. In the campaign, a portion of that shattered world has been destroyed leading to the PC fleet’s escape to another segment of the sky. About a year ago, one of the characters, Marreg, discovered an apparently lost god of his Orcish people in a ruined city. Marreg agreed to serve as the god’s vessel for a time. I turned to Marreg’s player and ask: what is it the god of? He hesitated for a moment and then answered, “the god of new worlds.” Cut to a year of play later. That god thread has come up a couple of times in the interim, but mostly in revolving around the gods in general. During play I finally bring back the thread the player created- the fact that there is another world, one the players and their community can escape to- evading the threats of the Elemental Lord and the Elvish Empire hunting them. It offers hope and a chance for survival for everyone they love. And that’s completely off a throw-away line from a player. Honestly that’s one of the most satisfying elements for me as a GM. Taking the material and concepts players throw out into the ring and reforging them. Before he came up with that concept of a new world, I had a different spin on where the campaign would likely go. I put that away because this was better and the players’ owned the idea. Here player input didn’t limit me, but instead offered a new take. So what are the advantages of collaborative setting creation, shared campaign building, and/or group character design? Buy In: Player buy-in. Players have a vested interest in things they create. They care more about them. That’s not a defensive or protective response. They want to see how these ideas play out. They’re pleased when concepts they created pop up in new and interesting ways. With character creation, the effect’s just as strong. Players feel connected to one another and come in with a solid sense of who the other PCs are. Work Reduction: For some GMs this may not be an issue. I often hear them talk about the pleasures of world-building. In my experience, a collaborative process doesn’t steal away from that. You still have plenty of room to build and create, but you have other rich material to create from. Collaborative creation shares the burden while still allowing the GM to put in as much effort as they wish. Demonstrating Trust: You get a chance to concretely show your group that you enjoy and respect their ideas. Challenge: There’s a real pleasure to taking the various strands and ideas out there and shaping them into something even more solid and coherent. That’s a magic trick which will leave your players with their jaws dropping. It can be a tough and risky one- the players will often be thinking about these things just as much as you. But if you want to stretch your skills as a GM, you owe it to yourself to try it once. Reasonable Background: We stress this point from the players’ perspective in the panel. Collaborative creation means players with as much expertise as one another and the GM. But it also helps to keep your own work in line. I’ve seen GMs go overboard writing up world background and details which don’t matter. They often don’t matter for two reasons. Either the players will never make contact with it- extensive histories, details of wars, nations far away; or the players won’t read it. Too much information- even nicely presented as a gazetteer will more often than not be lost on players. This approach does offer a few hurdles for GMs, beyond not being able to tell exactly the story you had in your head. Comfort Zone: As I mentioned above, what the players come up with may not jibe entirely with what you like. But players express their interests through this process- so you need to take those seriously. At the very least you may learn more about what your group likes. If it isn’t exactly to your taste, consider running it short-term as an experiment. System: Players may add things to the game world which don’t exactly fit with existing systems- especially those with lots of world assumptions (Pathfinder, D&D, etc). You’ll likely find yourself having to do some homebrew or house rulings on things. Even with a more open or generic system like FATE or GURPS, you’ll need to figure out how to model what the PCs come up with (tattoo magic which can be stolen, all magic works in cycles to give two examples from my sessions). Investment: Players may want to play longer. The Last Fleet campaign I’d planned to go exactly one year. The players wanted more, so we’re just not hitting 26 months of play. For this episode of Play on Target we take a look at licensed products and the hurdles they involve. We record early so this episode doesn’t touch on one of the more interesting developments in recent months- the shutdown of the Marvel Heroic RPG. That decision seems to have been a purely economic one done in mid-stream just as the game seemed like it had begun to gain traction. 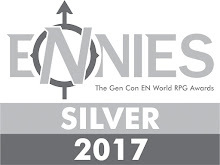 Consider that Marvel Heroic walked away with two Origins Awards for RPGs last week, despite being OOP. On the other hand, I’m used to MWP closing down lines and selling things off: Smallville, Supernatural, and Serenity. The first two never seemed to get off the ground. Mongoose is another one which seems to have burned through and picked up licenses in recent years. They did an interesting job with the Conan RPG (despite editing horrors), but hit the end of what they could do with it. A number of really interesting games and supplements have vanished from the scene never to be reprinted: ICE’s awesome MERP books, FASA’s Star Trek, and GURPS Conan for example. That’s a real danger in having a license- it suggests a limited lifespan. Eden apparently managed to overcome that hurdle. While they’re not producing new Buffy products, they still seem to have the rights to sell electronic versions of them. More publishers need to work that into their contracts so that games don’t vanish. In the podcast I mention some of what seemed to me to be oddball licenses. I mentioned a few GURPS choices that seemed odd to me, but even there I left out a few: GURPS Humanx, GURPS Alpha Centauri, GURPS Callahan's Crosstime Saloon, GURPS Lensman, GURPS Myth, GURPS Riverworld, and GURPS WitchWorld. I mean no offense- as the folks at SJG clearly have great taste in that they read or played many of the same things. Of course they had a few more popular ones with the Discworld Roleplaying Game and the Hellboy Sourcebook and Roleplaying Game. But many of these felt like odd choices- suitable for a fairly narrow audience. In some cases an audience purely of deep sci-fi readers. I bet if I checked with my present group, the majority of them wouldn’t have any idea what those products are- and they’re mostly contemporary with me. They came to sci-fi and gaming through a more pop fiction route. Of course there are other weird choices for adaptations. Consider Leading Edge Game’s forays into the field- games intended for tie-ins from a company which specialized in dense and highly mechanical systems. There’s Bram Stoker's Dracula Role Playing Game based not on the novel, but on Coppola’s 1992 film with Keanu Reeves. Or The Lawnmower Man rpg (based on the original and not the inferior sequel obviously). On the other hand, one would have thought ALIENS Adventure Game might have done something. Except when you release the game five years after it was in the theater, you face an uphill battle. For other weird choices, consider West End Game’s flurry of licensed products in a desperate attempt to make MasterBook a popular generic system: Necroscope, Species, Tales from the Crypt, and Tank Girl. So what do I think are really good licensed games? I’m tempted to say MERP, just for the amazing research and resources on offer there. But honestly the game itself doesn’t fit. And that’s not just about the question of magic in the setting. The weird power levels on display there make it feel completely unlike Tolkien. Weirdly my three favorite licenses still in print are all from Green Ronin. The Black Company remains one of the most amazing fantasy sourcebooks I’ve ever read. Not only does it provide a ton of information on Glen Cook’s gritty setting, it also manages to tune and tool the d20 system to really reflect the tone of it: grievous wounds, the magic system, the armies, the class builds, etc. if you like fantasy world-building you should pick that up. Equally Dragon Age offers an outstanding introductory fantasy rpg and does a tremendous job adapting concepts from the video game to the tabletop. Adapting a computer game, where so much work goes on behind the scenes, can be tough. DA’s an awesome translation and makes you feel like you’re playing in that world. Finally, Wild Cards quite simply shows how a sourcebook for an existing setting ought to be done. It is clear, coherent, and playable. I’ve posted before on some games I’d really like to see done as tabletop rpgs. In particular I examined VGs in Video Games as Tabletop RPGs and a follow-up Emulation & Beyond: More Thoughts on RPGs & Video Games. I also think we can’t underestimate the power and accessibility of homebrew and unofficial adaptations of various settings and licenses. 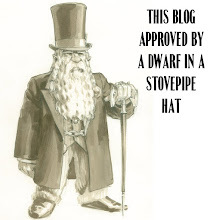 The Savage Worlds community has an amazing array of fan-created sourcebooks. Since FATE Core landed, the community has exploded with tweaks and developments to simulate amazing things- from movies to comic books to other games. When I think about it, the “licensed” games I’ve played for the longest have all been homebrews trying to capture the spirit of the source material: HALO, Fallout, and Star Wars. If I had to pick three existing properties that I would love to have a game/sourcebook for, I’d have to begin with Steven Brust’s Jhereg aka Vlad Taltos series. They’re amazing and rich and apparently originally come from an rpg. They have action, adventure and politics. I can easily imagine borrowing something from Houses of the Blooded or the like to handle the ideas here. But perhaps the best engine might be something like Amber Diceless. Rumor had it that there was a homemade adaptation using Amber floating around the net, but in many years of hunting, I’ve never been able to track it down. Second, I think if someone could figure out a way to build a core, easy universal engine with some depth and make it work with Final Fantasy, that would be a license to print money. You’d have sourcebooks filled with information for each of the games. Each book would have slight changes and variations to keep up with the mechanics of the particular iteration. But I can’t imagine what kind of hoops you’d have to jump through to get that license and manage it. It could only be a nightmare. I had a friend who worked on a licensed book for a movie that had been out for over a decade and the hurdles there were insane. Anima wants to be the FF game, but the engine’s not to my taste- and frankly, what I want is the sourcebooks and art. Finally, Liz Williams’ Inspector Chen series- weird and wild as they are, might make a really excellent setting. So this is my 750th post. Let’s hear it for arbitrary celebrational benchmarks. Harness the power of the group to make better games. Collaborative gaming doesn’t necessarily mean a GM giving up power. Instead it can serve as a tool to draw players in, create novel settings, and provide engaging experiences. The panel will discuss ideas and practical applications. We’re excited to announced our scheduled participants: Meguey Baker (A Thousand and One Nights: A Game of Enticing Stories, Psi*Run), Brad Murray (Diaspora, Hollowpoint), and Ben Robbins (Microscope, Kingdom). I’m there purely as the voice of a GM who has moved to more of these shared-world technqiues over the last several years. The panel takes place this Saturday at 2PM. It will be recorded as a YouTube video, so you’ll have a chance to check it out after the fact. This week’s an odd one for me. For my tabletop campaigns, I run on alternate weeks. For online, I run weekly. This normally would be my heavy week- running Sunday, Monday, Wednesday, Friday, and Saturday. But of the middle three, two have been bumped due to player schedule conflicts and the third is on break until mid-July. I’ll admit that I’m always a little thrown when the schedule opens up like that. If I’m smart I’ll have planned some things- like nights of painting minis or boardgaming. If not, I end up on the PS3 or with some Steam Game I bought on sale but still haven’t really played. I GM a lot. I’m primarily a gamemaster- when I do play I try to only play in a single campaign at a time. Right now I’m in a fantasy game using Mongoose’s Legend system. I’m still trying to wrap my brain around the mechanics of that. It has been years (GURPS 3e) since I played a game with a roll-under mechanic instead of one aiming at # of successes or beating target numbers. I was running six campaigns recently until I finally wrapped up my f2f Changeling the Lost campaign after a little over four years of play. The three of the five ongoing campaigns are tabletop: Libri Vidicos, a magic steampunk school game in a long running fantasy setting (begun Feb of ’07); Last Fleet, a fantasy riff on Battlestar Galactica (started June of ’11); and New Dragons, an L5R family campaign with homebrew rules (begun last November). I have two online campaigns. Changeling Lost Vegas which uses straight G+ Hangouts (begun last Dec and has a YouTube Playlist) and First Wave Series Two, the second arc of a Mutants & Masterminds 2e game using Roll20 & Skype (begun last June and has a wiki). I also have a wuxia campaign- White Mountain, Black River- which is on hiatus but we will eventually finish. Two of the f2f games- Libri Vidicos and Last Fleet will wrap this year- and First Wave will do one more series and then will finish. Like many veteran gamemasters, I’ve run using many, many systems. Too many. For those who see GMing as a calling, there’s a weird push to get the perfect game- the game which does everything right. So we critique when we read new games, we run something and then discard it in favor of another game, we go back to old models, we tweak new ones. We hunt for the Holy Grail even when we’re running campaigns that keep humming along. Dissatisfaction rules. Or maybe that’s just me. So I’ve run V&V, D&D, M&M, Champions, DC Heroes, James Bond 007, Vampire the Masquerade, Mage the Ascension, Call of Cthulhu, Mutant City Blues, True20, Rolemaster Classic, Rolemaster Standard System, GURPS, BRP, FATE, Ars Magica, Hollowpoint, d20, Fading Suns, Dying Earth, AFMBE, Conspiracy X, Ghostbusters, Paranoia, Hero System, MERP, Storyteller, Scion, Exalted, World of Darkness, Savage Worlds, Armageddon, and blah, blah and more blah. What I learned is that I prefer simple systems. At the same time I want some chrome and some choice. I want that to be mostly on the player side. I don’t mind complexity and variety in character creation, so long as that doesn’t bog down or slow things when we get to actual play. So the powers, abilities, feats, and everything like that should be easy for players to remember and use. We shouldn’t have to go back to be book too much during the session. I tend to strip off the rough corners and edges of the games I do play. If you watch any of the YouTube videos of my Changeling sessions you can see how I move through those things. I aim to reduce complexity- and funky edge case rules often get dropped. Some of that’s my desire for speed and efficiency- we only have two hour sessions for that. Some of that’s my system mastery- I’ve only been running nWoD since last November. I don’t think it makes for a bad game, but I imagine players who enjoy crunch and like digging into the depth of the mechanics might find my games less fun for them- I might not be able to offer them the game style they want. I’ll admit that keeps me from really wanting to run more online with new people. My group’s pretty settled and used to my style. They go with it. Some of them play Pathfinder which satisfies a different itch of rule-heavy material. But in the back of my mind I’m worried I’ll be pointed out as a fraud if I try to run something more complicated on G+. For tabletop gaming, I run a homebrew system we’ve been playing for about 13 years. It has gone through several iterations and multiple campaigns (ten I think). I’ve written about that homebrew, Action Cards, before. It began as an idea for card-based resolution with each player having a unique deck. I wanted a game with more room for narrative and easier core mechanics. Over the years I’ve stripped out complexities from the mechanics (point spend actions and initiative, overly elaborate magic systems), changed out various basic concepts, and borrowed ideas from games I’ve enjoyed- trying to tweak the game to make it work with the campaigns we’ve played and make the play feel more involved and interesting. I’ve borrowed some ideas from FATE and ended up putting dice back in the game purely for damage- because people like rolling damage. But at heart Action Cards offers simple resolution, with players able to narrate moments if they can get the right cards and effects. I don’t know exactly why it works but it does- and for a group that’s played across a lot of systems, with including players who would probably go with Pathfinder or Champions as a second choice. It is a group which as a rule loathes FATE for one primary reason: they hate the dice. They hate, hate, hate them. I’ve tried to run FATE straight with the dice and the players have enjoyed the ideas and concepts and hated the play for the dice. Despite that, my f2f group (ten distinct players across three games), likes Action Cards. The primary benefit AC offers is a sense of ownership- with unique decks and cards players can mark up and modify. Imagine being able to mark and modify a unique set of dice for your character. We play narrative-focused games, with stories but hugely freedom of choice. I try to provide incidents and have the players choose which way they want to head. But I also try to come up with interesting incidents and scenes- and often these will be turning points (like the current coronation the players are at where a forest has begun to swallow the world and the church is surrounded by a legion of vampires). We often have whole sessions of “once-arounds” where individual players follow up on their own stories and interact with NPCs. These push the character’s own stories forward and I often lay the groundwork for other interesting events in these. We have combats on average once every three sessions. That can accelerate when the hit the third act of a campaign. Often we use miniatures and maps but I abstract distances and have now moved to having zones rather than squares. I still use terrain and scenic because many of the group really enjoy that tactical feel and don’t like just having aspects defining things. So I have to mix that up. My sessions run three+ hours, longer if we have something important happening. My players are more apt to spend resources on planning, status, and social interactions rather than in combat. They trust that investments in those areas will pay off in the long term. As a GM I try to track and remember those actions and reward players for that kind of creative thinking and preparation. NPCs they were good to return to help them, reputations gain them advantages, financial investments come back to them, the house they built offers them a sanctuary, etc. I try to balance a focus on rules, environment, and character story- but I’ll admit that my attentions often more on the last two than the first. I’m a freelancer still hunting for short-term and part-time work in writing and editing. The environment’s tough and that’s something I usually avoid talking about too much. 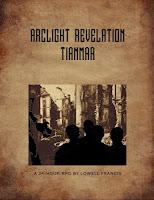 If you’re looking for someone consider this blog; my DramaSystem piece for Pelgrane Press “A War on Christmas”; or my entry for the 24-Hour RPG Contest, Arclight Revelation Tianmar as examples. 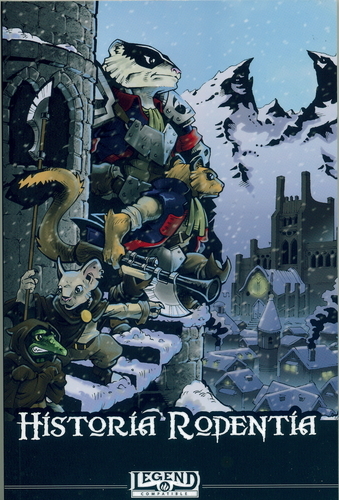 I’m comics you can see stories I did in Mouse Guard: Legends of the Guard Volume 1 or Rocketeer Adventures Volume 1. I also scripted and co-plotted Flashpoint: Project Superman for DC. Currently I have a board game design, Right of Succession, that I’ve been shopping around and will be sending out for some more testing. I have a couple of other BGs that I’m sketching once I get that to a finished place. Art Lyon and I have been working on some independent comics pitches, a couple of which are in final stages and we’re beginning to hunt for artists. Eventually I plan to put Action Cards together as a product and at risk of being a cliché, I will likely Kickstart that. I’ve been thinking of how to expand and develop the “History of X RPGs” project into a larger volume- perhaps with interviews and some more value-added details. I’ve also been using Scrivener to put together a concrete version of the most interesting stuff from this blog. In doing so I’ve been pleasantly surprised at the number of useful pieces out of the 750 posts, but there’s also some serious dross to trim. I plan to be at GenCon for a couple of days this year, so I hope to run into some of the really creative gamers I’ve followed online. So thanks to anyone who reads this blog- I hope I provide some interesting insights. This is one of those self-indulgent posts, the kind I often skim through on other people’s sites. I’ve you read to down here, then a double thanks for your attention. I always welcome requests, comments, questions, suggestions, review copies, and criticisms. I get decent hits and I hope people find the time to check things out. The variety of sites and choices available means every comment's a rare and precious thing. I need to be better at that myself. Anyway- I hope whatever kinds of games you run or play in, that you have awesome fun, always. 750 posts. That probably means I can time it to get to 1000 at the end of 2014. With this, I wrap up these lists. At the end of the year I’ll do a new one covering those products published in 2013. Quite a few have appeared already and we’re not even to GenCon. Kickstarter and like avenues of publication have encouraged new rpgs in general and many of these have covered steampunk or Victoriana. Since we’re at the end of the lists I’ve gone through and roughly broken down the 121 games and products into some rough categories. I hope these might help people looking for a particular flavor of Steampunk or Victorian gaming. They’re subjective; I’ve tried to figure out the main focus of the play or setting. Items are arranged pseudo-chronologically here- basically by how they appear on the eight lists. You can find an explanation of my arbitrary labels on the first list entry. I’ve focused on core game lines or supplements offering a significant shift or change to the setting. So if one module offers some steampunk bits, I’ve left it off the list. To keep the lists manageable, I don’t list exclusively self-published or free pdf rpgs (with some exceptions). Some not listed below include: Thief: The Role Playing Game, Anarktica: Fate of Heroes, A Night in the Lonesome October, Beyond the Ӕther, Heart's Blood, Steampunk Crescendo, By Gaslight, and Fin de Siècle. Westward was also announced and expected in 2012, but did not appear. I welcome discussions and suggestions as I work through these lists. I've arranged the items chronologically and then alphabetically within the year of publication. I break the time periods down arbitrarily, trying to keep the lists manageable. Arclight Revelation Tianmar was created for the 2012 RPG Geek 24-Hour RPG Contest. It takes place in a world still reeling from the Martian Invasion. The Red Weed has not died off, but has insidiously infiltrated the eco-systems and created new threats and monsters. To combat this, scientists have created weapons using Martian tech and new weird science. They crafted "Steamlarks," mecha which can fight these monsters on their own terms. However these can only be piloted by the young. The players take the role of pilots in a secret weapons program- balancing school, social pressures, and the dangers of the Red Lands. ART riffs on anime- including Neon Genesis Evangelion- and steampunk conventions. The system needs work- as you would expect with a 24-Hour game. You can read more about it here. You can also download a copy of the free pdf here. (2012, Victoriana) I HOPE throughout these lists I've done a decent job of summing up each game's core idea. At least I've offered enough that readers can decide if a product's in their wheelhouse or not. 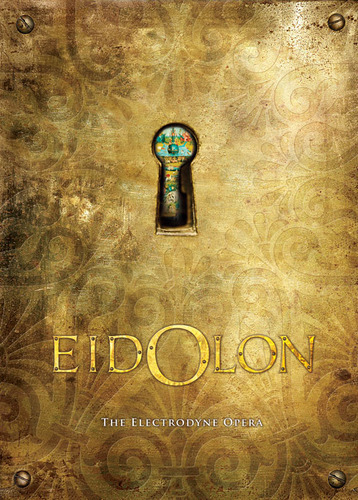 I'm going to try to sum up what I've gleaned of Eidolon. I fear, though, that I'm going to do a disservice to the premise. With that in mind, if you're interested in this I recommend you check out the free brief pdf introduction to it here. Set in 1900, Eidolon offers a more dreamlike take on Victoriana gaming. The game itself seems to be metafictional with stories as powerrful forces and tools. Passages attempted something like this, but even that was much more literal and concrete than Eidolon. It isn't an alternate history but rather an allegorical take on our world and history. There's talk of the Literal Continent, Absolute Enlightenment, dream-fueled technology, narrative power, and Delirium. The tone of the world and play reminds me of a mad mash-up of Nobilis, Houses of the Blooded, and The Fair Folk. if you're interested in wild new ideas in games, you ought to check this out. At least take a look at designer Angelus Morningstar's website for the game or the presentation materials from his successful IndieGoGo campaign last year. (2012, Victoriana?) OK, probably not, but I had to put this on the list because I can easily see moving this forward a little to make it work more in a later period. 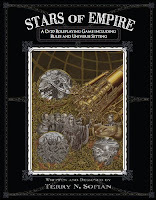 Based on the Brushfire wargame, it offers an anthropomorphic alternate 19th Century setting. Written for the Legend system, the rules add options for battle command, politics, and organizations. The art and design looks great- and the sourcebook includes 21 playable species. As I suggested, it looks like it leans a little more towards Napoleonic analogies, but it could easily be tuned to later history. (2012, Steampunk) Iron Kingdoms appeared previously on this list with its d20 incarnation. This version rebuilds that from the ground up- with a new house system and integration of the world developments from 11+ years of IK, Warmachine, and Hordes. I like that everything's in one book now. The graphic design and look of the book is excellent- yet I still haven't picked this up. I need to- in some ways it offers the most accessible fantasy steampunk setting out there, with lots of cool bits to support it. My players would easily buy in to the setting. The game system, d6-based, is supposed to be interesting. It is a nominee for Best RPG at 2013 Origins (coming up this weekend). 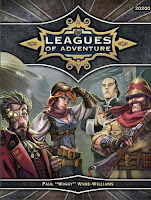 (2012, Victoriana/Steampunk) Leagues of Adventure is the newest line from Triple Ace Games, who also brought us the excellent steampunk-esque Sundered Skies. LoA is a complete game and setting using the Ubiquity rules. It draws from all of the classic elements of fantastic Victoriana, focusing on action and exploration. 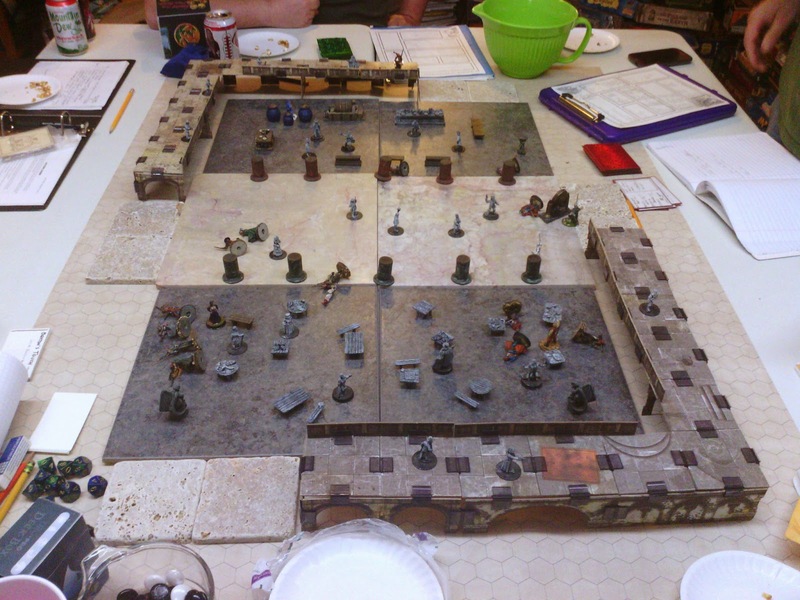 The template draws from League of Extraordinary Gentlemen, with the players organized into a League themselves. A number of other games have done this, but LoA makes it a centerpiece with rivals and enemies from among these other groups. 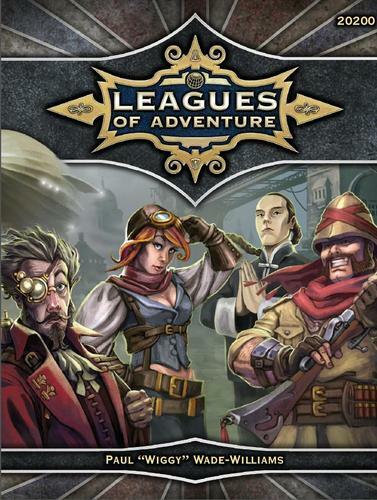 Though the publisher blurb describes it as a "gritty steampunk game" the world appears more four-color. The core book offers open setting and background material- with the sense that it will be expanded in future supplements. One thing I really appreciate is how well TAG supports their lines. They already have three different adventures, nine mini-supplements (Globetrotter's Guide to Weird Science, Globetrotters Guide to Gothic Horror), and several free pdf add-ons. Triple Ace has jumped into a genre with many competitors, but gives a solid and well-presented take on these ideas. Anyone considering starting a Victoriana game ought to look here, knowing that TAG will continue to support and expand this line. (2012, Steampunk/Victoriana) So here's another that's an edge case. In 2012 Xaos Publishing put out a demo packet for Mechanika, subtitled Empire of Blood and Steam. That same year they attempted a Kickstarter which didn't reach their goals. However they seem to be still pressing forward with the product line and have an ambitious list of additional products on their website. It feels a little like a "heartbreaker" steampunk game, given the roughness and typos of the demo pack and claim to a "next Gen. system" (sic). The premise is interesting, and I assume the core book would follow through with this. Players take the role of agents of the Icarus Detective Agency. The world is a fantastic alternate history, where the dark fae of old ages existed but were put down. Beyond that, the setting seems to be a mix of public magic and some weird tech- neither particularly well explained in the demo packet. It obviously can't offer too much, but a page or two really laying out the world would be great. As it is, I can't tell what elements are open or hidden in the world, what the backstory is at all, and what the compelling difference is between this and other fantastic Victoriana rpgs. (2012, Steampunk-esque) OK, so my first reaction was, "Oh, god another d20 steampunk fantasy setting." And then I saw the illustration on page 4 which is a tech riff on the cover of the AD&D Player's Handbook. 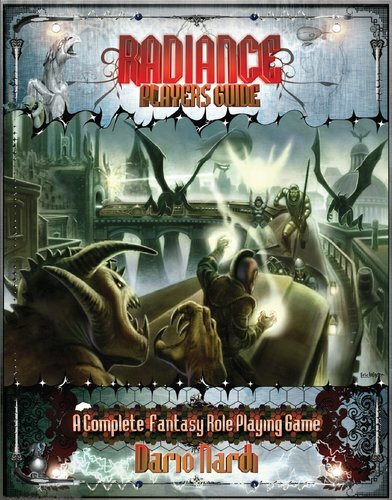 Radiance offers a complete game which means it is complete, but also has a good deal of the core book given over to mechanics and rules. The weird thing about the book is sold as "A Complete Roleplaying Game in the Age of Electrotech" and "lets you focus on a fantastia of the late-19th century." But there's almost no specific setting background on offer. The introduction offers little sense of that tehc and what it actually means. 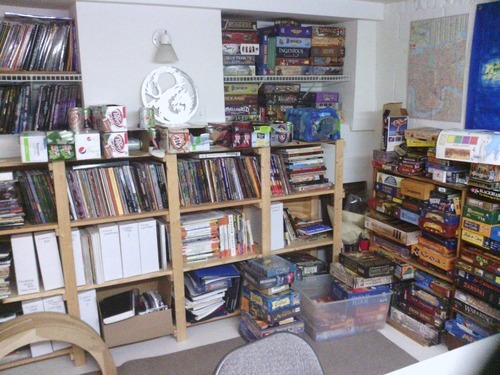 In fact there's a feeling that the books a kitchen-sink d20 sourcebook. A page of different campaign themes at the beginning,from Classic Myth to Tolkien to Steampunk, reinforces that sense. So what is "steampunk" about this? Well it has lots of bits thrown in amongst everything else- often with little explanations. Warmechs exist as one of the twenty-four playable races. Artificers and Gunslingers appear alongside Barbarians and Monks as classes. Steamgear and electrotech appear in the equipment, with little sense of their context. Void ships, moon rockets, and the like are lumped in with all of the classic fantasy bits...again with little discussion or explanation of where these fit. It feels like an attempt to capture everything possible, which results in more a laundry list than a coherent game. Still there are a few interesting ideas here and the illustrations are pretty awesome. As of this writing, the Radiance Players Guide is available for free from RPGNow. If you're at all interested in the genre, you should pick up a copy of this 286-page rulebook. 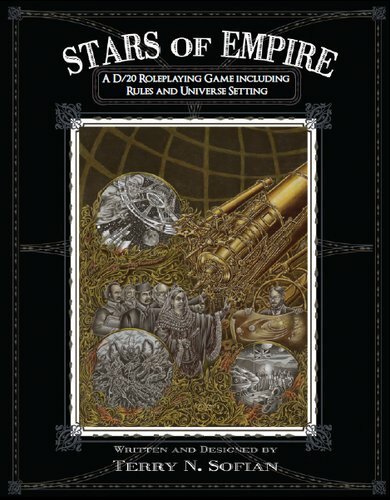 (2012, Victoriana/Steampunk) Stars of Empire takes a new approach to the concept of star-faring Victorian Empires (seen in Space 1889 and Full Light, Full Steam). in previous lists, I've been bothered by games set in the future which keep Victorian trappings (Etherscope, Unhallowed Metropolis). SoE instead has the developments which lead to interplanetary travel occurring about 150 years earlier. That leads to an alternate history version of 1892 with these colonial powers beyond the earth but still at each other's throats. It does an excellent job of keeping the feel of the late 19th century while at the same time building the logical changes required of this kind of world. The additional shift comes from the breakout of The Hive, an extra-planetary organism threatening humanity's existence. That larger conflict ties this game into a larger set of steampunk concepts and publications from Aerolyth Enterprises. Called "Hive Queen & Country," it includes The Hive and the Flame miniatures rules, the Flying Machines of the World Sourcebook, and The World Beneath the Clouds: Steampunk RPG Venus Sourcebook. This last item is just wrapping up a successful Kickstarter. The Stars of Empire core book is a complete system. It uses a homebrew system, called Hacktastic, based on d20 resolution. 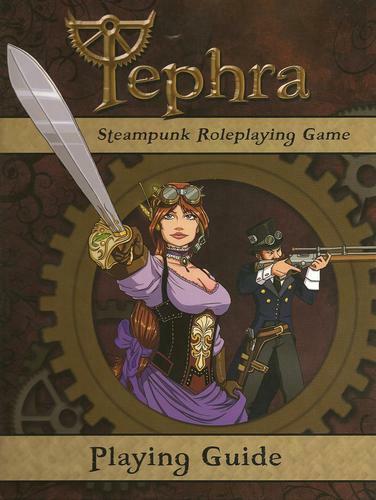 (2012, Steampunk) Another Kickstarted rpg that handily smashed past its modest goals. It offers a fantasy world which has been affected by increasing technology. It has many of the classic steampunk elements: swashbuckling, sky pirates, and clanking robots, but it also offers bio-mutations and other forms of weird science. The setting offers several races- classic Elves, Gnomes, and Humans- but also Satyrs, oceanic Ayodin, and angelic Farishtaa. The world and background is fairly well-developed and rich. The core book is complete, offering their own "Clockwork" system which uses a single d12 for resolution. They have a forthcoming adversary book, as well as several pdfs available. (2012, Victoriana) I'll admit I was skeptical when I heard about this. Changeling the Lost remains one of my favorite settings- I like the tension of existence and the hints of PTSD in the game background. I feared that moving the concepts back to the Victorian era would obscure things- double mumbo-jumbo. However the book's interesting and makes a solid case for running CtL in these times. I've seen a couple of Victorian Lost campaigns and enjoy the elements of the fantastic they bring to the table. You can see my full review of the supplement here. (2012, Steampunk-esque) Technically, this actually ought to appear on an earlier list. But 2012 saw a revised and expanded version of this fantasy steampunk city for Pathfinder. This comes from the Midgard setting, though the supplement can apparently be adapted to other fantasy settings. I love a well-crafted city and Zobeck stands in the tradition of the best of them: Lankhmar, Sanctuary, Umbar, Waterdeep, Kaiin. The setting itself is high fantasy, lightly dusted with steampunk elements: schools of clockwork magic, the Kobold Ghetto, gritty tools, and the Gearforged. 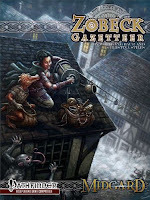 This setting has been expanded by several supplements Streets of Zobeck, Alleys of Zobeck, and Tales of Zobeck, but the larger elements can be found in the Midgard Campaign Setting. The Motley decided to hunt down Cantorian Wolf’s apartment, rumored to be an extended stay motel near the airport. After some streetwise checks, they managed to track it down. They arrived and after a quick check they broke in. They noted several things- primarily the sense that the apartment had already been tossed by someone with OCD. The garbage cans had been dumped out but then everything had been smoothed and stacked next to them. The drawers had been removed, and the items neatly folded and placed on the floor. Whoever had stayed in the apartment had been messy, but their pursuers had been neat. Despite that, the group discovered several pieces of evidence. One, photos, map, and sketches of the Spring Court’s holdings and rooms. The sketches were of the photos- clearly a visualization exercise. It suggested someone on the inside of the Court had been helping Cantorian Wolf. Two, IVs and other sustaining equipment used by long-term dreamers. That jibed with their knowledge of Wolf’s skills. Three, traces of magical backlash and curse twisting in the bathroom- something they suspected from what they knew of the e-Razor. Four, the smell of gun oil which they associated with Three Iron Sour, a gun-elemental they believed had assisted Wolf with his theft from the Spring Prince, Beckoncall. Five, wood shavings- which suggested the elemental Carpenter Husk had visited in the last few days. But they found no solid evidence of Wolf’s location. Most strikingly, under the bed they found a small toy safe, made of hazy, dreamlike material. John reached his hand into the strange box which seemed to already have been opened and emptied. However in the back of it, he uncovered an inter-office envelope. Inside he found yet another tarot card and note. The note had the same handwriting as the first one they’d discovered. The card was more ominous- The Chariot. In the background of the collage image they could make out a picture of Morosoa Scorned, one of their own motley. The group headed down and out- with Andi making a brief detour to overwhelm the night clerk and get him to hand off Cantorian Wolf’s mail to her. The found a couple of fraud credit cards which they pocketed. As they made to leave, they noticed an unmarked van across the parking lot. It had been there when they’d arrived and seemed to be watching the place. After some discussion they decided to head on and see what it did. As the group pulled out, the watch-van gunned the engine and drove full speed, catching the rear end of their vehicle and pinning them against a barrier wall. Men in suits leaped out of the van at them. Kah let loose with his lightning knife, catching a couple of them before being hauled out of the passenger side window. John leapt out of the back, screaming to draw attention. Andi followed, tired iron in hand. Two guys rolled out and John dropped back to the shadows to make his away around to the back. Morosa pulled herself out, and rolled across the top of the van. She grabbed one of the six from above and flung him into the distance. Andi engaged with the bad guys at the back- using her skills to increase her defenses as they opened up with gunfire. By this point the group realized their opponents weren’t human- but weirdly animated pseudo-flesh suits filled with stuffing. John reached the back of the enemy van and communed with it to gain a vision. He saw a strange mechanical figure animated six of these figures and send them off to find Cantorian Wolf. John had the sense the animator had been hired by someone. The motley, despite taking some damage, managed to dispatch their attackers- rending limbs, setting some on fire, and generally causing a commotion. With the situation in hand they took off in their own damaged van and the one their attackers had come on. They headed back to their retreat where they searched the van. There they found notes which included the address for Three Iron Sour, indicating he was next on the “Made Men’s” hit list.